Zadar, Croatia from 23rd till 31st October 2016. This training course was funded by European Commission through programme Erasmus+ (https://ec.europa.eu/programmes/erasmus-plus/node_en). The project gathered 29 participants, trainers and staff from 10 organisations and countries (Croatia, FYR Macedonia, Italy, Czech Republic, Spain, France, Greece, Turkey, Bulgaria and Slovakia). 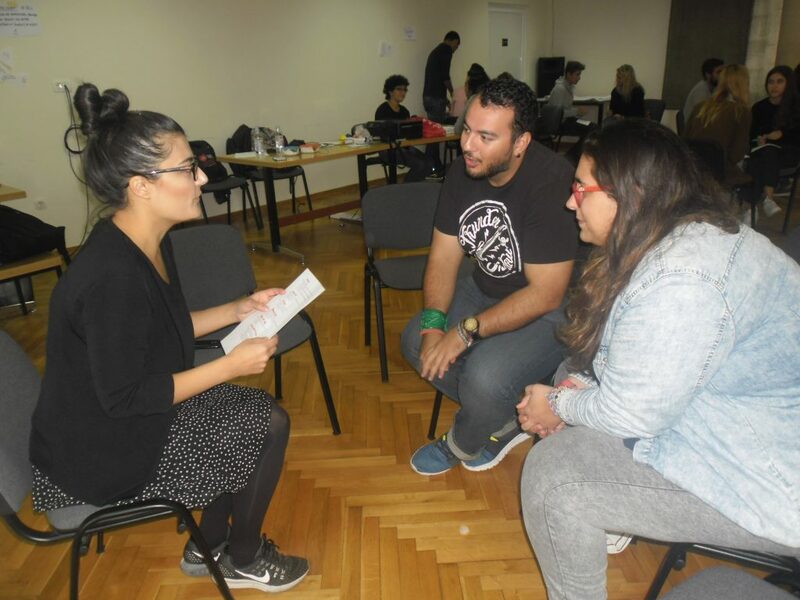 This project was a great way for participants to exchange and discuss about situations in their countries connected with discrimination, exclusion and marginalization of different groups (including migrants and refugees). They also explored Fundamental / Human Rights in Europe. Through different exercises they increased their ability to understand and empathise with different socially excluded and marginalised groups. They discussed what is Intercultural Dialogue and how they as youth workers can promote it in their local communities. Participants improved their competences in communication, conflict transformation and teamwork which was important for them as facilitators of intercultural dialogue. They practised their skills in developing and leading new projects. They also got to know better Erasmus+ programme and opportunities for youth, so they can promote it to their local community and the youngsters they are working with. During the training course participants developed new tool: Compilation of participants’ recommendations for developing and leading youth work activities for inclusion and acceptance of immigrants, refugees and other cultural/ethnic/religious minorities which is a part of a Content report. Outcomes of the training course, methods used and additional materials and useful links you can find in the Content report. Feel free to download it and share it with your organisations and youth workers. Volunteers of Association Realization, supervised by Stella Turnšek, also made a video about the project, especially about what participants learned and how they can use this knowledge in the future.